Frederick “Tom” T. Fitzgerald – of Woburn, January 29th. Beloved husband of Janice M. (Gorman) Fitzgerald. Loving father of Amy Treworgy, her husband Todd of Burlington and Jonathan Fitzgerald, his fiancé Yesenia Zapata of Woburn. Cherished grandfather of Sean, Kate, Jack, Liam and Jessica. Dear brother of Janis Fitzgerald of Hawaii. Also survived by several nieces and nephews. Relatives and friends are invited to pay their respects on Sunday, February 3rd from 10-2 at the Lynch-Cantillon Funeral Home 263 Main Street, Woburn. His funeral service will take place on Monday, February 4th at 10 a.m. in the funeral home with burial to follow in Woodbrook Cemetery. 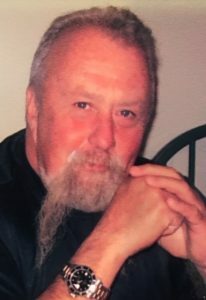 Frederick “Tom” T. Fitzgerald – 71, a lifelong resident of Woburn, died peacefully, Tuesday, January 29th, at his home with his family by his side. He was the beloved husband of Janice M. (Gorman) Fitzgerald. Born in Winchester, Tom was the son of the late Frederick W. and Bernadine (Wellwood) Fitzgerald. He was educated in Woburn and a graduate of Woburn High School, class of 1965. Shortly after high school Tom was drafted into the US Army and served his country proudly during the Vietnam War. He was awarded Expert badges in riflery as well as the National Defense Service Medal. For many years, Tom was the owner/operator of his own trucking company, Am-Lee/Black Star Trucking . Tom always lived a very active and fit lifestyle. In his younger years he enjoyed water-skiing, working out and more recently, tending and landscaping his yard. He enjoyed traveling with family and friends, always welcoming them into his home in Pie de La Cuesta. He was a lover of automobiles and motorcycles and took pride in restoring his vintage street rod. Tom’s family meant the world to him, and whether they went out to eat or gathered together at their home, he enjoyed their company. Along with his wife Janice, Tom is survived and will be deeply missed by his two children, Amy Treworgy, her husband Todd of Burlington and Jonathan Fitzgerald, his fiancé Yesenia Zapata of Woburn. Cherished Papa of Sean, Kate, Jack, Liam and Jessica. Dear brother of Janis Fitzgerald of Hawaii. Also survived by several nieces and nephews. Tom was an avid dog lover, especially his beloved bull terriers. In lieu of flowers the family asks that you make a donation to the Northeast Animal Shelter. Relatives and friends are invited to pay their respects on Sunday, February 3rd from 10-2 at the Lynch-Cantillon Funeral Home 263 Main Street, Woburn. His funeral service will take place on Monday, February 4th at 10 a.m. in the funeral home with burial to follow in Woodbrook Cemetery. Relatives and friends are invited to pay their respects on Sunday, February 3rd from 10 a.m.-2 p.m. at the Lynch-Cantillon Funeral Home 263 Main Street, Woburn. His funeral service will take place on Monday, February 4th at 10 a.m. in the funeral home with burial to follow in Woodbrook Cemetery. The Fitzgerald family: Please accept our sincere sympathy on the passing of Tommy. Always remember the wonderful memories you have of him, and this will gently guide you through this difficult time. I’m so sorry to hear of Tom’s passing. It is hard to know what’s happening back home now that I am in Athol. I hope he is in a better place. I’ll always remember his laugh and smile when he came to the tire shop and told stories of the kids. Take care and thanks for sharing him with us. I remember as a kid my father would take me to all the car shows. I would see Mr. Fitzgerald, Jonathan and Jason. He was a good guy. See you at the finish line sir. Say hello to my dad. Dear Jan…I’m very sorry for you and your family’s loss…may your husband rest in peace. I’m so sorry to hear this. I hadn’t seen Tom (still Tommy to me!) in years. I was going to stop to see him on my way from seeing my mother in Maine a few years ago, but I was running late to get to the airport so I called and cancelled. What a regret. Jan, I’m so very sorry for your loss of Tom. My heart goes out to all of you. Such a sad time. I have wonderful fond memories of cousin Tom when I was a kid. Hugs & love to you and the family. Sheryl (Lundin).